I am a huge fan of graphic novels and comic books. I used to read The Beano when I was knee high or slightly bigger, and now I see my son enjoying Lego comics in the same way. For children, they encourage a love for imagery, reading, and memorable characters with merits they can aspire to. It's good to see role models portrayed in superhero status, or in strange settings, combining the imagination with true to life experiences makes a great work of art. Now the classics with big names earn big money at auction, for example Spider-Man page originals often go for tens or hundreds of thousands of dollars each! Even the vintage comics on eBay are fetching a fair few. Celebrating the medium of graphic story telling, which has its roots in tapestry like the one at Bayeux, draws in as many crowds today as it has always done. Many! There's something about the combination of iconic imagery with brief literary descriptions that attracts people. Perhaps it's the two forms of information in one medium combined that makes them easy to interpret and understand. We perhaps feel more involved with the plot and the story when we can see it, read it and imagine it all at once. An Exhibit run by The Society Of Illustrators in NYC now holds the largest collection to date of classic artwork from the comic books of past and present. We can see for ourselves the almost sacred pages of Spider-Man, Thor, and Captain America editions from when they began. These characters have entered the psyche of millions if not billions of children over the years. Their ethic of struggle against evil, good friends, and strong personality has served to inspire countless real life versions. The exhibit, called “Art of the Avengers and Others” sits on the Upper East Side of the city. Ask for directions if like me you might get lost. It's on the corner of 63rd Street and Lexington Avenue at the Museum of Illustration. I'm sure locals know exactly where that is. Spider-Man's co-creator Steve Ditko who recently passed away, has several originals in the show. Old methods of comic book production required artists to completely make the page original from blank paper with inks painted by hand. The scribes would then write in the neat little letters to incorporate the story. It took hours of work with several artists working all at once to produce the final images. These would then be replicated, stapled together, and sold to eager children and adults all over the place. Several collectors have banded together to produce the display, in order to produce an exhibit of truly superheroic proportions, collating pieces from everyone's stash has been the ultimate answer. We can all admire the work involved, the continual evolution, and the brilliant characters that we all grew up to love. If you can, fly over to the Museum of Illustration and witness the fabled pages of lore for yourself. The exhibit runs until the 20th October. 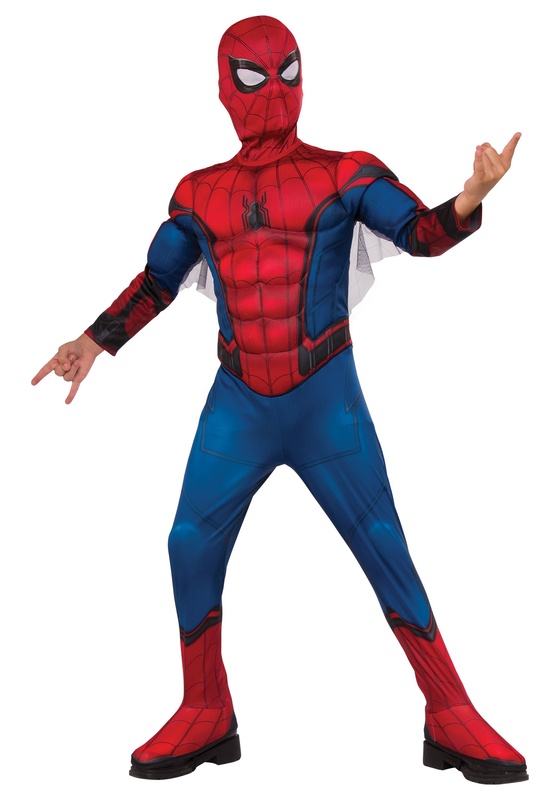 Click the costume to buy one.